12,000 miles away lies a soggy little country that once ruled half the world. Its name is Great Britain and its Pride and Joy is the Royal Family, whose interaction with footy is a brief but interesting one. From coronation premierships to the dawn of satellites, live TV coverage of the game, a sad time we all remember and royal weddings overshadowed by footy in the rain, the rich pageantry of the strange link between Britain and Australia continues to this very day. So dust off the best china, warm the kettle with two spoonfuls and one for the pot, take the Charles and Di plate out of the dishwasher and cover it with bikkies – as Peter Luck would say, a time to remember. In 1970, it was decided by the local dignitaries to invite the royal family to watch a footy match at the home of football and cricket, the MCG. It was arranged to feature the reigning premiers Richmond versus the plucky underdogs Fitzroy. Everything was arranged to fit in with the royal schedule. The match was played on a Sunday, making it unusual for those times when everything started at 2pm on Saturday, also making it the last match in the round. The royals arrived at half time, so the players, who already had played a half of footy, had to line up at half time in a sort of honour guard to meet the Queen, the duke and Charles and Anne. Princess Anne questioned Richmond centreman, the late Bill Barrott – one hears that there was fighting – Billy was nonplussed and did not know what to say – not a good year for Billy, or Richmond. At three quarter time the Royals had had enough and dutifully trooped off to their next engagement. But the cameras and the journos, who to that point were following the royals around like Molly Meldrum at a Bay City Rollers concert, decided to stay and watch the footy. It was a ripper game with grumpy Fitzroy causing the big upset, all beamed to far flung corners of the empire, like Canberra, where I watched it all live thanks to the magic of satellites. Swans v Carlton round 6, 29 April 2011, Royal Wedding. Finally some relief from those pesky royal occasions, Channel 7 finally scheduled a footy game at the same time as the royal wedding between William and Kate. I was listening to the Collingwood v North match on the radio when the broadcast was interrupted by news from faraway Paris – Princess Diana was in a car crash and gravely ill. As news of her death swept the world, forces were afoot to shake up the AFL finals the following weekend, so that all TV channels could broadcast her funeral. The match between Adelaide and West Coast, scheduled for the Saturday night of the funeral, was postponed to the following day during the daytime, meaning 3 matches were held on Sunday. Adelaide easily beat West Coast on their way to winning four finals and the flag. You could argue forever whether this advantaged Adelaide, but one thing’s for sure, in a narrow finals series, the funeral had an impact. The coronation of Queen Elizabeth II. QEII’s coronation as monarch of the United Kingdom, Canada, Australia, New Zealand, South Africa, Pakistan and Ceylon took place on 2 June 1953. In September that year Collingwood and Geelong fought out what was known at the time as the Coronation premiership, similar to the Olympic premiership three years later. While hardly up there with the conquest of Everest, or the royal tour the following year as celebrations of the Coronation, it becomes a quaint little footnote of where we were back then. I’ve never seen Jim at the football. Oh, the OTHER royal family! I saw the headline and thought this was about the mighty East Perth Royals in the WAFL, George! However, very well written (love the “dust off the best china ..” reference) and it was great to reflect on Fitzroy beating Richmond in 1970. In that 1970 clash i’m advised Kevin Murray wore long sleeves to cover his tatts. Apparently his father thought it wouldn’t be a good look in front of Phil the Greek and Betty Battenburg. Fitzroy knocked off the reigning premiers that day. It looked like 1970 was going to bring big things, then a reality check hit. The following week they played their first home game at the Junction Oval. St Kilda beat them by 118 points ! Then they played Geelong in the first match at VFL Park Waverley. Geelong by 61 points. The royal visit was but a memory. George, the round corresponding with Betty Battenburg’s coronation. The results that Saturday ? Interesting fact, Fitzroy repeated the win against Richmond in round 12 that year – 12.11 (83) to 8.9 (57). Coronation premiership 1953 – Collingwood 11.11 (77) d Geelong 8.17 (65). On 30 May 1953 the right royal Lions defeated Melbourne 12.9 (81) to 10.11 (71) and on 6 June defeated	Hawthorn 8.12 (60) to 5.14 (44). 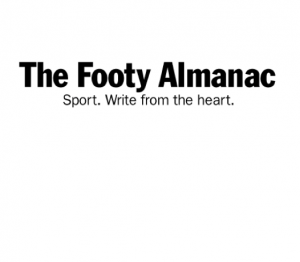 Collingwood had wins against Richmond and Footscray, Geelong against South and Melbourne.